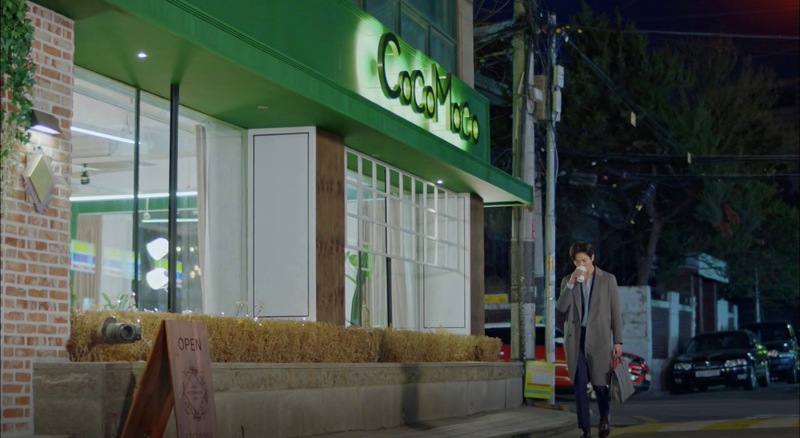 This café appears as café CocoMoco [코코모코로] run by Sung Deok-mi’s (Park Min-young) best friend Lee Sun-joo (Park Jin-joo) in Her Private Life (그녀의 사생활) (tvN, 2019). 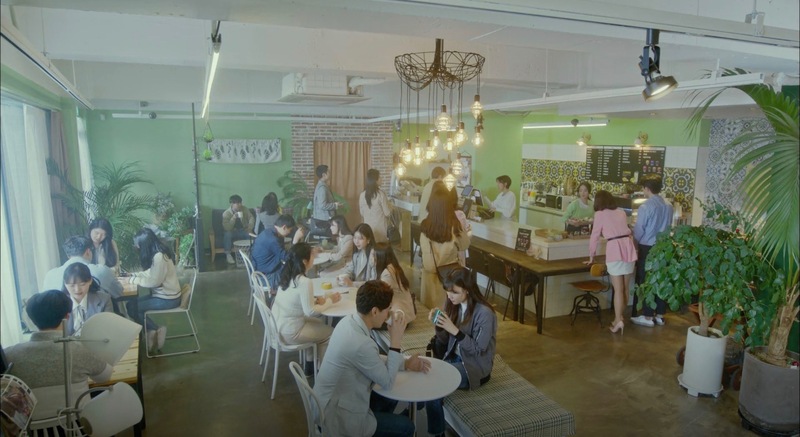 She comes here, for instance, in episode 1 for an meeting in which she is scouted by a company that she works her part-time for a bit in episode 2. 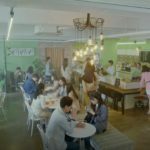 Caferia [카페리아], opened in 2018, is a café situated in the Daeyang Building [대양빌딩] in Seoul’s neighborhood of Seogyo [Seogyo-dong/서교동] in the Mapo District [Mapo-gu/마포구].